The Pennsylvania Parking Association’s (PPA’s) members recently persuaded District 13 State Senator Scott Martin and District 22 State Senator John Blake to co-sponsor legislation that will allow many towns and cities throughout the state to assign enforcement and administration of parking laws to their parking authorities. 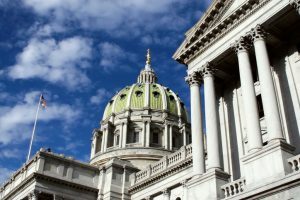 PPA has actively supported the passage of Senate Bill 736 (last session’s House Bill 1455), an act amending Title 75 (vehicles) of the Pennsylvania Consolidated Statutes in powers of department and local authorities, further providing for specific powers of department and local authorities. Senate Bill 736, will allow class 2A (Scranton) and third-class cities (everyone else except Pittsburgh and Philadelphia) the option to assign the enforcement and administration of parking laws to their parking authorities. Alleviate the costs and burden of parking enforcement for each city’s police department. Result in greater fiscal efficiency for all the entities involved within each class 2A and third-class city. Reduce the backlog in magisterial courts created by parking tickets. Ultimately reduce the burden on the taxpayer. Please help PPA advance Senate Bill 736 and offer your support in moving it forward. Pennsylvania residents, please contact your state senator today and ask him or her to pass Senate Bill 736. Mark A. Vergenes is president and founder of MIRUS Financial Partners, chair of the Lancaster Parking Authority, and president of the Pennsylvania Parking Association.